Stacy Rogers Ward was 127% sure she wanted to be a whale trainer when she was a kid (now she thinks whale training is pretty horrifying, actually). Then she was 100% sure she wanted to be a veterinarian (which she is and finds it only mildly horrifying depending on anatomic location and symptoms in question). She was 0% sure she wanted to be a writer until her niece was diagnosed with a devastating childhood illness and her heart broke. That’s when writing found her and showed her how much we all need our stories to matter. Stacy loves coming of age stories and stories with big ideas. She hopes to never outgrow coming of age herself nor discovering her own big ideas. 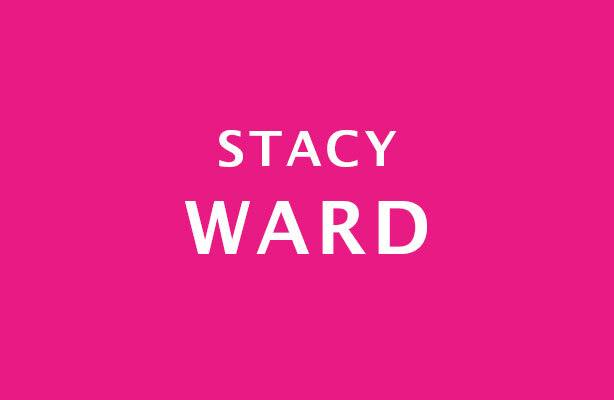 Born and raised in North Carolina, Stacy lives in Wilmington with her very patient husband, three very impatient kids and a ridiculous but undisclosed number of animal friends. She could tell you the number but then she’d have to . . .well, you know the rest of that story.